Chris, I got Lil Chubb out today also, but only for a short run on back roads up to Hickory Flat and Canton and back. Just to knock off some winter cobwebs. 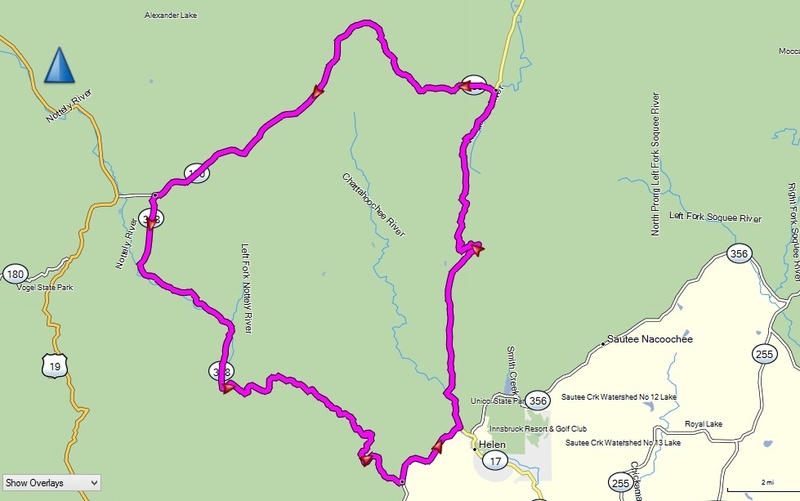 What software are you using to get that map with your route outlined in purple? Howard, it’s just a cropped screenshot from Garmin’s BaseCamp. Sounds like a great ride Chris. We like to ride that loop also when in North Georgia, but not in 40 degree temps! Actually Bob it was in the mid 50’s until we got to the top of the Russell Highway. It got to 40 there so we headed back down to were it was 55! Have ridden down there many times! Beautiful! We stay at Two Wheels of Suches when we’re in the area.